Central Bank of India Recruitment Notification 2018. 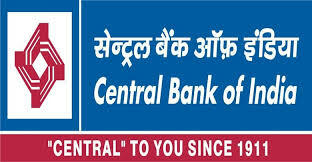 Central Bank of India inviting applications for the positions of RSETI Director. Interested and Eligible candidates can apply for the positions. 1. Essential: Graduate / Post Graduate degree from a UGC recognized University. 2. Desirable: Officers with rural development background i.e. Agriculture Finance Officer / Rural Development Officer / Agriculture Officers converted to Mainstream of banking / Lead District Managers and Faculty leaders / Faculty members of Training Centres / Colleges with specialization in Rural Development etc. shall be preferred. 3. Experience / Other eligibility criteria: Candidate should have retired on VRS or on attaining superannuation with minimum 20 years of service of which at least 15 years in Officer Cadre.He should have worked as Branch Manager in any scale in a rural branch for at least 3 years OR as AFO (Agriculture Finance Officer) in a Rural Branch for a period of 3 years. He should have unblemished record and possess satisfactory service certificate from the previous employer. Should be well conversant with local language. Should have retired from Scale-III or above for RSETIs & Scale-II & above for FLCs. 4. The contract amount shall be paid an amount equivalent to last pay & allowances drawn less the initial amount of Pension fixed before commutation plus relief etc. payable thereon or Rs. 25,000/- p.m. whichever is lower Further a lump sum amount of Rs. 5000/- p.m. shall be paid towards Mobile, Conveyance etc. However, the condition of “ Last Pay & Allowance drawn by the Officer less the initial amount of pension fixed before commutation plus relief etc.” will be applicable only to the pension co-optee retired bank official of a Nationalised Bank and in case of non-pensioner, the candidate will be eligible only for Rs. 25,000/- p.m. together with lump sum amount of Rs. 5000/- towards Mobile, Conveyance etc. Please note that no other benefits or charges shall accrue or be payable. 5. JOB PROFILE: These officers shall be working as “Director-RSETI/Counselor-FLCs” and have to oversee the overall functioning of RSETI/FLC. 1. While applying for the post, the applicant should ensure that he/she fulfills the eligibility and other norms mentioned above and that the particulars furnished are correct in all respects. In case it is detected at any stage of recruitment that a candidate does not fulfill the eligibility norms and / or that he/ she has furnished any incorrect / false information or has suppressed any material fact (s), his / her candidature will automatically stand cancelled. If any of the above shortcoming(s) is / are detected even after appointment, his / her contractual appointment is liable to be terminated without any notice. 2. In case of suitable and deserving cases, any of the requirements and conditions of eligibility mentioned above, may be relaxed at the discretion of the Management. The Management reserves the right to fill or not to fill the above advertised position without assigning any reason thereof. 3. Mere admission of application against the advertisement and apparently fulfilling the criteria as prescribed in the advertisement would not bestow on him / her right to be called for interview. Eligible candidates have to submit their applications in the given format (Annexure-A). Last date for receipt of application is 27.08.2018 No applications shall be entertained beyond the stipulated date. Incomplete applications will be rejected. Address the application, Superscribing “Application for the post of Recruitment as Director of RSETI, Darjeeling, Central Bank of India, Regional Office address Ashrampara, Siliguri-734401. Further, it is informed that One Letter Box will be kept at Office, Central Bank of India, Regional Office, Ashrampara, Siliguri-734401 where the applications may be dropped.